I’d like to thank photographer Randall Davis for suggesting this location. 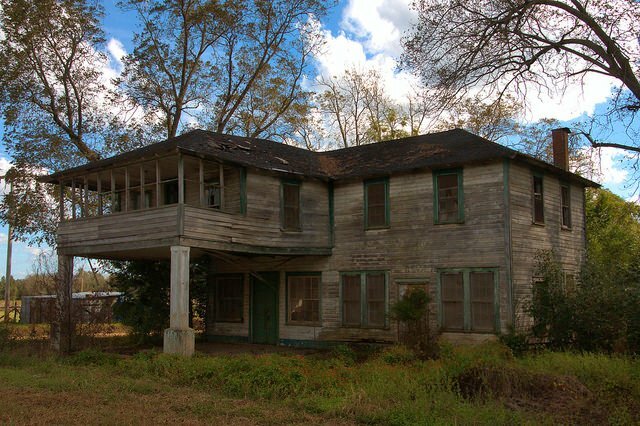 Some thought it was located in Emanuel County, since it has a Twin City address, but it’s just over the Bulloch County line on U.S. 80, near Portal. The community around the store is known to locals as Cedar Lawn. Residential stores like this are few and far between today. It’s always been a common practice in cities for shopkeepers to live “above the store” but was seen less frequently in rural areas. As of 2017, Bill Lanier notes that this has been demolished. I plan on hitting the road with my camera and explore … what small town or city would you say has the biggest historical bang for the buck and what would be your top ten … love the blog !!!! !